I was pleasantly surprised to learn today that my friend, Mrs. Venus Angelica Perez, has written and published a book - Mentality Listens. Get your copy here! Imagine going into a bookstore, choosing a book, opening it up, and discovering that YOU are the main character! Truth-filled words will take you to a whole different level of poetry. Written by a former Marine and a current disabled veteran, Mentality Listens is truly one of a kind. You will never find a book like this one. Venus Angelica Perez grew up in Bensonhurst, New York. She moved to suffolk county, LI and a few years later, joined the United States Marine Corps. She was honorably discharged in 2003 due to her physical ailments and was granted 50% disability from Veteran's Affairs. She is now a disabled veteran who copes with her pain through different forms of art to include writing, painting, photography, and poetry. 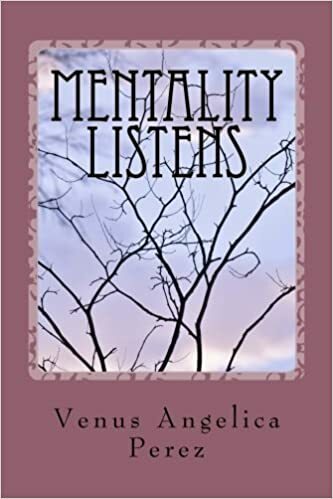 Her first book, Mentality Listens, is a compilation of her own poetry that was written throughout the years while she struggled through her most painful days, hours, minutes, and even seconds of her life. It is unlike any poetry that's out there on the market or has ever been on the market for poetry. It is truly a book geared towards those who are struggling or know someone who is struggling with physical, emotional, mental, or physical pain. 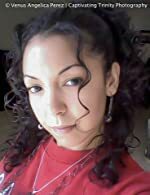 She is in the process of publishing her first Novel, The Medallion, which is part of a Trilogy series called, "A Christian Mafia." It will be available later this year in 2012.